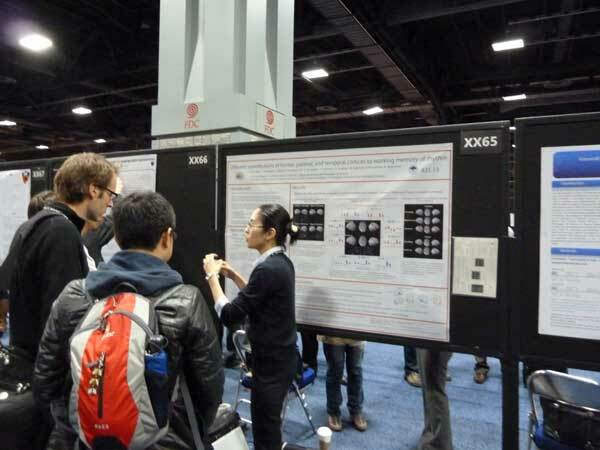 Neuroscience 2011 drew over 32,000 attendees from around the world. I attended the Society's 41th annual meeting, held in Washington, DC from November 12-16th. On 16th I made a poster presentation entitled 'Different contributions of frontal, parietal and temporal cortices to working memory of rhythm'. The meeting provided me a great chance to exchange information with many neuroscientists. We also visited Dr. Okihide Hikosaka in National Institutes of Health to exchange information, especially about experimental methods of electrophysiological study using awake moneys.